Solveig Marie Ødegård of Norway recently made history when she decided she had to learn to drive. 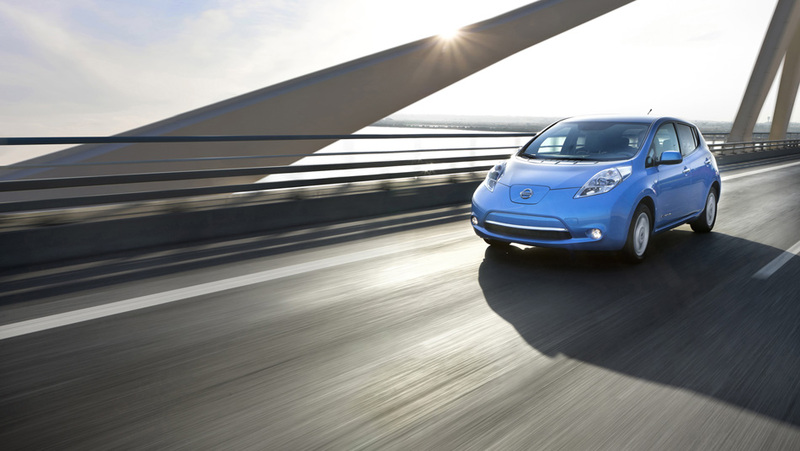 The young mother attended a local driving school, took driving lessons, and passed her driving test, all in a Nissan LEAF. As a result, Solveig Marie has never in her life driven a vehicles powered by a diesel or gas engine. This makes her the first person on record to have all of her driving experience in an electric vehicle. “There will come a time – five, ten, 15 years down the track – when every new driver will have driven only an electric vehicle,” said Nissan Executive Vice President Andy Palmer. “First I looked at this (learning to drive) as a duty, since someone in this family needed to be able to drive. However from the first moment I got into the car I discovered that it was incredible fun. So much fun that I almost felt ashamed for enjoying myself,” said Solveig Marie. Now that she is as licensed driver, any guesses to what kind of car Solveig Marie bought? 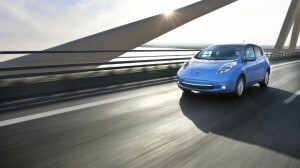 Of course she went to her Nissan dealer and got a brand new LEAF of her very own. 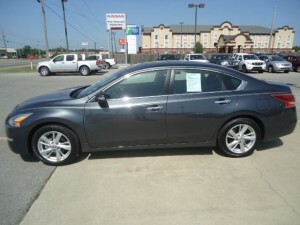 The all-new, completely redesigned 2013 Nissan Altima has created a lot of buzz since it arrived in dealerships several weeks ago. This innovative sport sedan has been installed with features that were only seen on luxury models prior to the new Altima’s influx. Three of these features we’d like to highlight all center around the rear-camera of this vehicle. One available luxury option on the 2013 Altima is Lane Departure Warning. The rear camera scans the road for lane markers and the camera is ‘smart’ enough to know if the car departs from the confines of the lane. If this occurs, the camera sends a signal to light up an icon on the dashboard and relay audible cue sounds to the driver. Blind Spot Warning is another luxury feature that can help make the driver aware of their surroundings. If another vehicle enters Altima’s blind spot, an icon lights up on the dashboard to alert the driver. If the driver disregards the warning and attempts to change lanes by activating their turn signal, an audible cue will sound to alert the driver again. A third available feature on the new Altima is Moving Objective Detection. When the car is put in reverse, the camera quickly begins scanning the environment behind the vehicle. If the camera detects a moving object while scanning this area, a beeping cue sounds and a yellow frame surrounds the rear camera image in the center dash in the car’s interior. 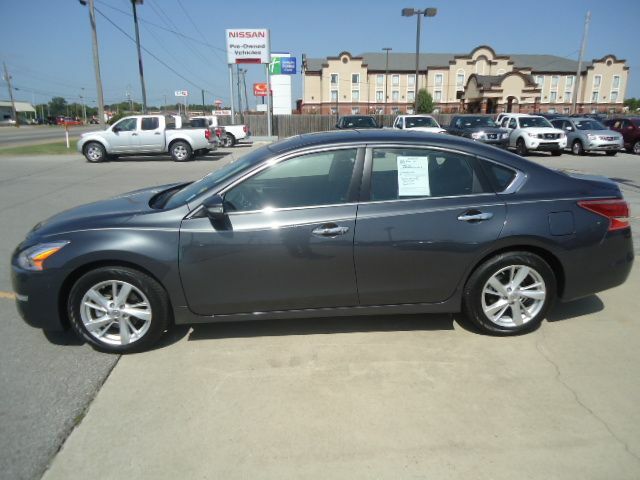 Find innovative 2013 Nissan Altima now at James Ceranti Nissan. Visit our Greenville dealership for a test drive today or view photos and specs of our available inventory online at www.jamescerantinissan.net. With football season in full swing, now is the perfect time to partake in the Nissan Car Care 2012 MVP Event. What’s in it for you? You’ll receive a 100 Point Courtesy Check-up on your Nissan car, truck, van, or SUV when you bring it to your participating Nissan dealer between October 1st and October 31st, 2012. After the check-up, you’ll get a detailed diagnostic review of the ‘health’ of your vehicle. If your Nissan requires service after the check-up, you’ll also be able to take advantage of valuable offers for services performed by our expert Nissan technicians. Wait, there’s more! During the Nissan Car Care 2012 MVP Event you can also register to win two tickets to attent the 78th annual Heisman Memorial Trophy Gala. This elite event is held in New York City on December 10, 2012. The prize package includes round-trip travel accommodations for two people to New York City, a three-night stay between December 8, 2012 and December 11, 2012, and two tickets to the Heisman Memorial Trophy Gala dinner. If that’s not enough, the winner will also receive $300 spending money to enjoy during their stay in the Big Apple. So what are you waiting for? Head over to www.jamescerantinissan.net to enter the contest today. A complete list of contest rules and regulations is available online. 1.) Wrong slot used for harness. If your infant still requires a rear-facing car seat, choosing the slots located at or below your child’s shoulders will provide the safest fit. If your child is a little bigger and is now in a front-facing car seat, the slots located at or above their shoulders should be used. 2.) Incorrect chest clip position. The moveable chest clip should be aligned with your child’s armpit level, not resting over their abdomen. 3.) Loose child restraint system (CRS) installation. 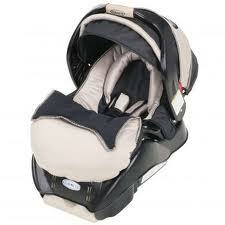 Once securely belted in, the car seat should not move more than one inch when pushed side to side or front to back. 4.) Loose harness strap. Pinch the harness strap at your child’s shoulders. There should be no slack or give to the strap. 5.) Incorrect use of seat belt with booster seat. Contrary to popular belief, the lap belt in your car should not lie across the stomach of your child in a booster seat. It should fit snuggly across your child’s upper thighs. The shoulder belt should not be touch your little passenger’s face or neck, but should instead lay snuggly across the shoulder. Be sure to read your Nissan owner’s manual for other tips on how to properly install your child’s safety seat. Stop by James Ceranti Nissan with any questions and our team will be happy to assist.